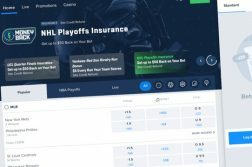 If you tried to log on in New Jersey to your trusty FanDuel sports betting app just before the start of the late NFL playoff games the last two Sundays, you may well have found yourself out of luck thanks to some tech issues. This happened for a half hour or so around the starting time of the Patriots-Chiefs game on Sunday and the Saints-Eagles game a week earlier. Our team is still working to resolve the existing issue with FanDuel Sportsbook. We know this is frustrating, and we appreciate your patience and understanding. We will provide updates as we receive them. So that’s their official statement. Plenty of questions remain, most notably: How did we get here? And how might this impact the Super Bowl? The issues have come up only around game time and only around later games. Why might that be? Well, picture the bettors on the early games. Shortly before the late-game kickoff, they are checking how they did on their early picks and finding out where their bankrolls stand after the winning bets are processed. Some winners want to wager just a portion of their profits on the late game — that guarantees them a winning day, with a chance for more. Others want to “let it ride” — they are feeling the karma. Then there are the “chasers.” Frustrated by their early losses, they want to get that money back, and then some, on the late game. Why wait so long to bet, anyway? Many of these new legal sports bettors no doubt are daily fantasy sports players and/or season-long fantasy players. They have a routine of not locking their weekly lineups until a short time before kickoff, once it’s known for certain which players are and aren’t active. Those habits can be hard to break, and we wonder if FanDuel’s technology fully anticipated this. There is an irony to this issue, too. With fantasy, you are locked out once the player’s game starts. But with New Jersey’s in-play options, there’s not a true need to panic if you have to make a bet a few minutes late. If one team has the ball, 2nd and 9 on their own 36 with 13 minutes left in the first half, you may be able to bet with the same or similar parameters as you would have had before the game. Or if you, say, were totally sold on the Chiefs ending coach Andy Reid’s postseason misery with a resounding win over the Patriots, you might have licked your chops at that early Patriots touchdown because now you get a much more appealing line. But the expansion of sports betting in the U.S. creates an inevitable learning curve for both bettor and operator. For now, there seems to be no logical reason to be concerned about being able to bet on the Super Bowl on the FanDuel app or website from now until late afternoon of game day. But an hour before the game? Well, while FanDuel no doubt is spending these next two weeks working on the tech angle, anecdotal information suggests they still haven’t completely figured it out. So if you love a line and/or the odds on a FanDuel bet offering, it makes sense to grab it while you can. Two straight Sunday issues means you can’t assume all will be well on FanDuel come Super Bowl Sunday kickoff. But most of these bettors are regulars, and many are indeed aware of in-game betting options. Fast forward to the Super Bowl — the first with legal sports betting in New Jersey — and the stakes rise exponentially. A mass audience signs up to bet for the first time. Many will be thinking that they’ll watch the pre-game show and then plop down their online bet just before kickoff. But what if they can’t do it due to technical reasons? Remember, these are casual fans/gamblers who don’t even know that there is in-game betting. They want to bet $20 or $100 on a point spread or over/under and be done with it. And the frustration will be even greater for those who do know about in-game betting and want to place live bets if the site is crashed while they’re trying to do so. The odds and situations they’re looking to bet on can change in the span of a 30-second technology problem. FanDuel will be under a lot of pressure on Super Bowl Sunday — and so will all of the legal sites. Widespread mainstream media publicity about tech glitches could significantly impair the industry’s reputation, especially if there are reports of illegal offshore sportsbooks offering business as usual. The New England Patriots, the Los Angeles Rams, and their fan bases all have reason to have Super Bowl pre-game jitters. And guess what? So will the legal sportsbooks. John Brennan has covered NJ and NY sports business and gaming since 2002 and was a Pulitzer Prize Finalist in 2008, while reporting for The Bergen County Record. 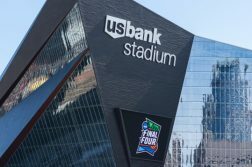 Madness In Minneapolis: Is There Betting Value To Be Found Among The Final Four?